We offer IKO certified Kiteboarding instruction, accommodations and sales of kites and equipment in Tulum and the Riviera Maya Mexico and Brazil. Real Estate, Immigration, Corporate Law & Notary Public Services. 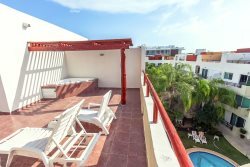 Playa del Carmen Vacation Rentals With reviews and photos, TripAdvisor can help you find a great vacation rental in Playa del Carmen. Larry Schwimmer is a leading Astrologer who can help you with all your astrology needs.